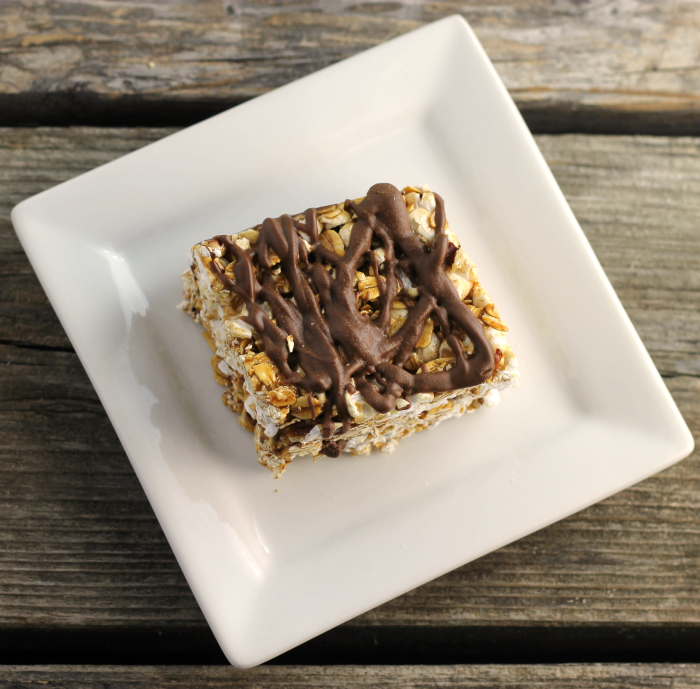 I am not sure if I could live on a gluten free diet… well, maybe if it included these popcorn oat bars. We have an employee lunch usually once a month where I work. Some of the people I work with really love their sweets. Which if you look around this blog you will notice that I do too! But some of these people that love their sweets have food allergies or are on gluten free diets. This is where the popcorn oat bars come in. One person cannot eat dairy items, such as butter and soft cheeses. A couple people can’t or don’t eat gluten. Then one of the people that don’t eat gluten cannot eat legumes, he reminded me of that the last time I brought in treats with peanut butter. Did you know that peanuts are in the legume family? I had heard of this before, but I guess I had forgotten. Well, I won’t forget again. I have never had to deal with food allergies before. Yep, no one in my family or Mike’s family as far as I know have food allergies. I think we have the opposite of food allergies, we can eat all foods and probably eat way too much of everything. When you don’t have to deal with something like food allergies, you never know how hard it really is. And that is one of the things we talked about as we were munching away during our lunch. So, I really had to think long and hard about what I was going to bring for the day. I finally decided on these popcorn oat bars. Well, wouldn’t you know it, two other people brought in gluten free chocolate chip cookies? Yeah, they won out over the popcorn oat bars for lunch. But I ended up leaving my popcorn bars for the next day. I had people tell me that they loved them and that I make the best treats. 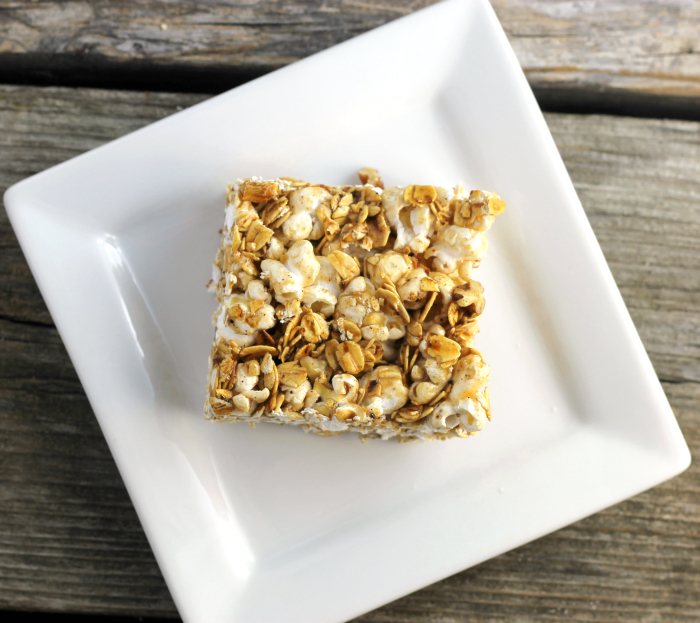 I know that I will never follow a gluten-free diet, but if I did I know that I would be eating these popcorn oat bars. I did drizzle the bars with a melted chocolate and peanut butter combination for the people in the office that could eat legumes and milk. Those were my favorite. Very, very cool Dawn. And I kid you not, I just posted about travel bars. Though mine are still in testing but boy, so much flippin’ fun. I would definitely go for the chocolate version! These bars look fantastic! I love the addition of popcorn! Love the addition of popcorn in bars. Looks so beautiful and delicious! 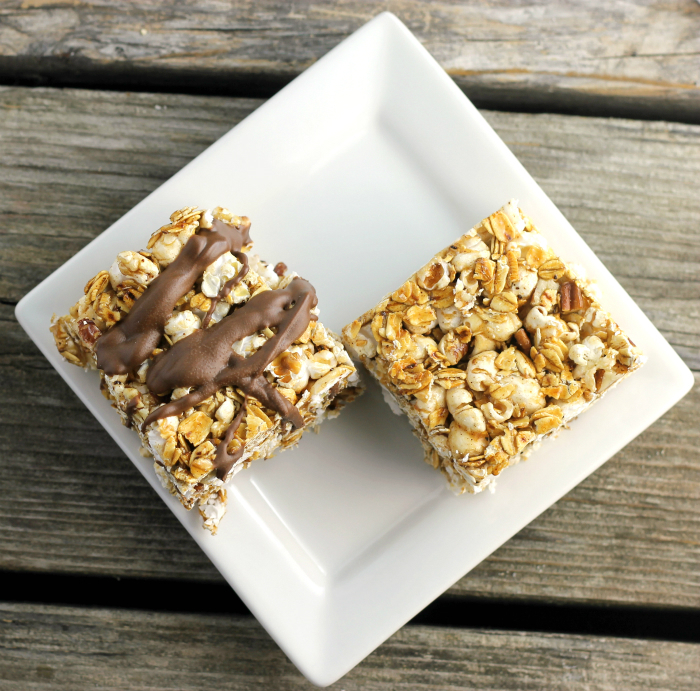 These oat bars look GREAT! I THINK… THINK… My fiance would LOVE this recipe! I’ve been on a gf diet for a year and a half and it’s hard. . .I still make food for my family with gluten in it and I don’t eat it. Sometimes it’s torture – once in a while I cheat. 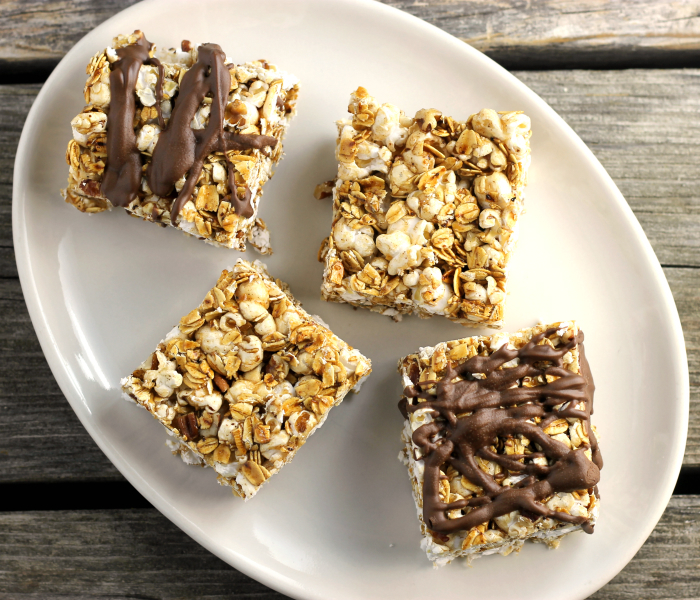 The popcorn bars look delicious! I’ll have to try them sometime when I need a treat.